BEANPOLE Robbie Warnock has suddenly become very valuable to Carlton coach Mick Malthouse. Warnock, whose poor kicking skills proved costly in last week's 12-point loss to Richmond, is the last recognized ruckman available for selection at the club after Matthew Kreuzer (pictured) was yesterday sidelined for up to 14 weeks due to an ongoing foot problem. Kreuzer, who had surgery on the same foot at the end of last season, played in the opening game against Port Adelaide but withdrew from the team to play Richmond after it became clear the injury had not healed as hoped. Carlton's football operations manager Andrew McKay said the news was disappointing, but added the decision was for the best. 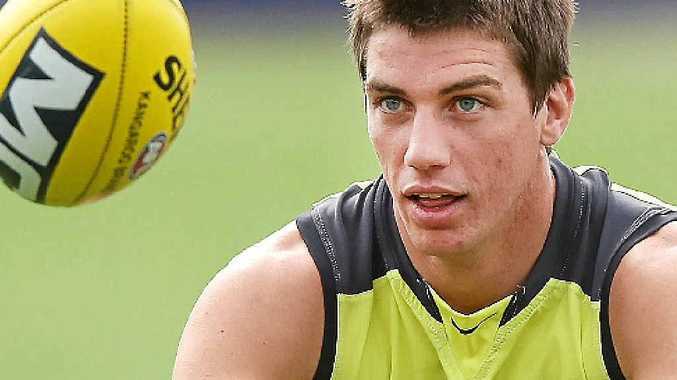 "His surgeon and our club doctor have determined it is in both Kreuzer's and the club's interests for him to have another procedure, to ensure he is fully fit to play a role in the later part of the season," McKay said.